The key planning document is PPS 9: Biodiversity and Geological Conservation Planning Brief. 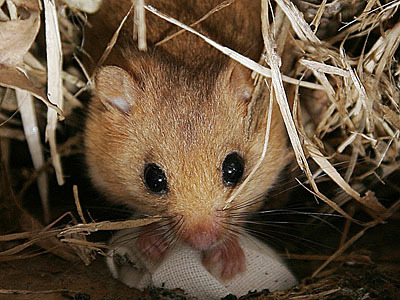 Presence of a European Protected Species (EPS) such as dormice is a material consideration in planning applications. Where there is a ‘reasonable likelihood’ of an EPS being present and ‘affected by the development’, surveys must be carried out and any required mitigation plans submitted before the application is determined. A new version of PPS9 was drafted in 2010 and has been consulted upon (the provisions for EPS are unchanged in the draft). What constitutes ‘reasonable likelihood’ and ‘affected by the development’ is open to some interpretation; Natural England standing advice is due to be issued shortly. A new version of the Habitat Regulations was published in 2010. This incorporates changes bought about through the passing into law of the new Marine Act, NERC Act Species of Principal Importance list etc. For EPS the Regulations applying to licences for EPS now have different numbers: Regulation 39 is now Regln 41; Regln 44 is now 53; Regln 48 (SACs) is now 61. Presumably disturbance is to be assessed on a case by case basis, though some planning applications have taken this to mean that more than 3 dormice must be affected before a licence is needed. As the revised disturbance threshold is now different than for the Wildlife and Countryside Act (WACA) “some survey work which does not require a licence under the Habitats Regulations, because of the raised threshold for the ‘disturbance’ offence, may still require a licence under WACA;. Lower levels of disturbance, which are not an offence under the Habitats Regulations, may be an offence under WACA. The standing advice consultation states that “where local protocols are in place they will run alongside the standing advice”. Devon County Council, in partnership with a number of Devon planning authorities, local consultants and NE, has been developing some Devon-specific planning application validation criteria, which would fulfil this role. NE have expressed a view that developments over 0.1ha would trigger the need for a phase 1 survey. Wider consultation and official endorsement by local NE is anticipated. Indications from NE and new government were that a ‘bio-banking’ approach (s106 or other offsite mitigation money to form a fund, from which targeted conservation schemes could be funded) was gaining favour. Biodiversity Action Plans are being revised and repackaged as Biodiversity Integration Groups (BIGs), which combine species and habitat action plans under wider habitat types. Dormice are listed under the woodlands BIG, as well as others (e.g. farmland BIG, because of hedges). The BIGs would be used to target agri-environment grants etc. A number of large landscape scale project areas, Integrated Biodiversity Delivery Areas (IBDAs), have been nominated for priority funding. Landscape scale approaches are expected to be one of the main recommendations of the Lawton Report on biodiversity conservation, published in September 2010, which will inform the forthcoming government white paper in spring 2011.